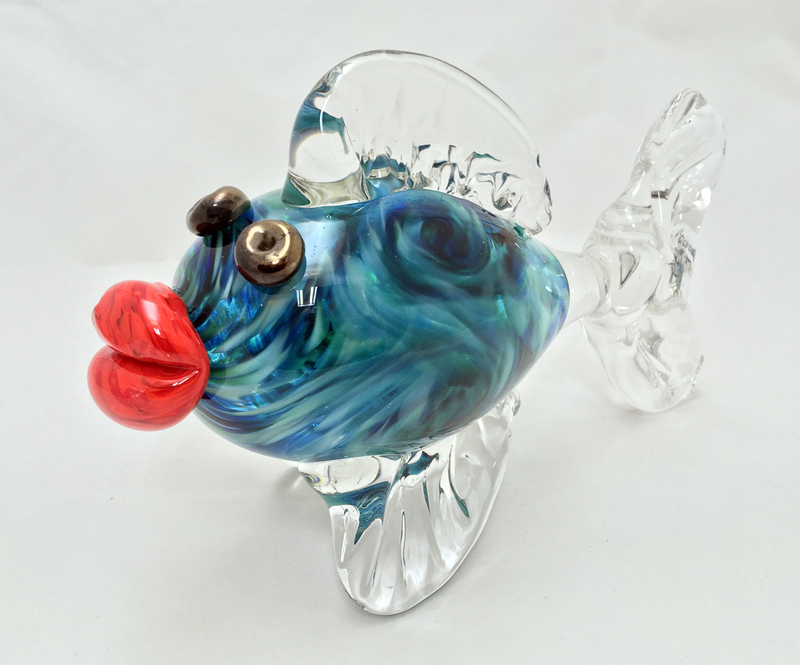 If you saw a fish like this underwater would you kiss it? Absolutely! 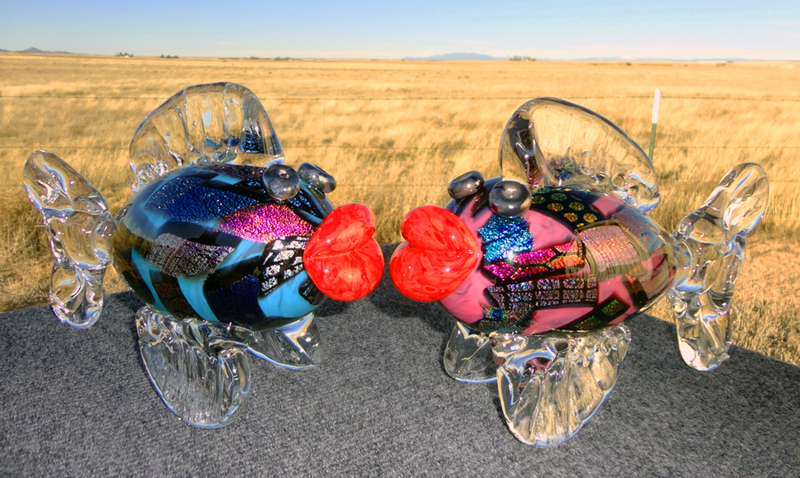 Our blown glass kissing fish are a product of our imagination and each one is made with love. 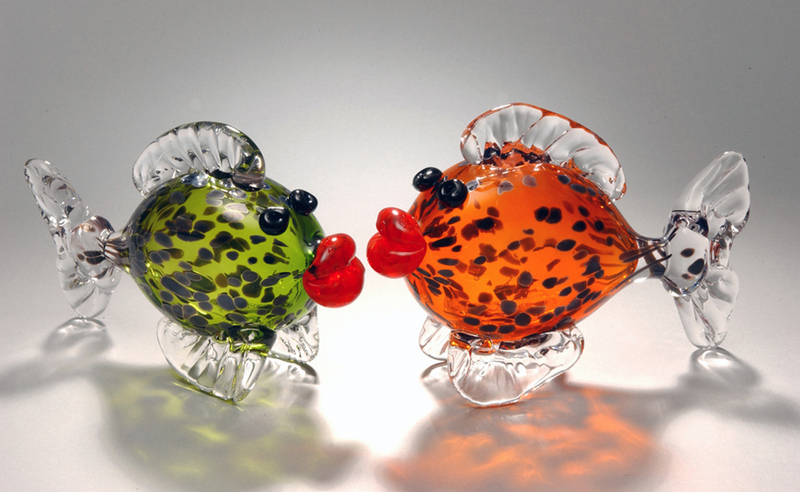 These are one of a kind, blown and sculpted furnace glass, available in a variety of colors. 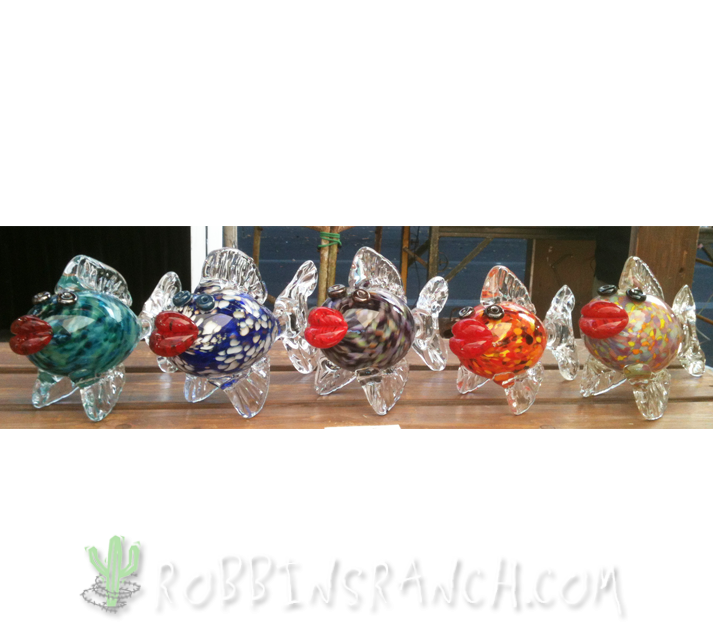 Select from opaque solid colors with dichroic pieces, clear glass with Murrine Flowers and Cane, or any one of our Color Mixes. 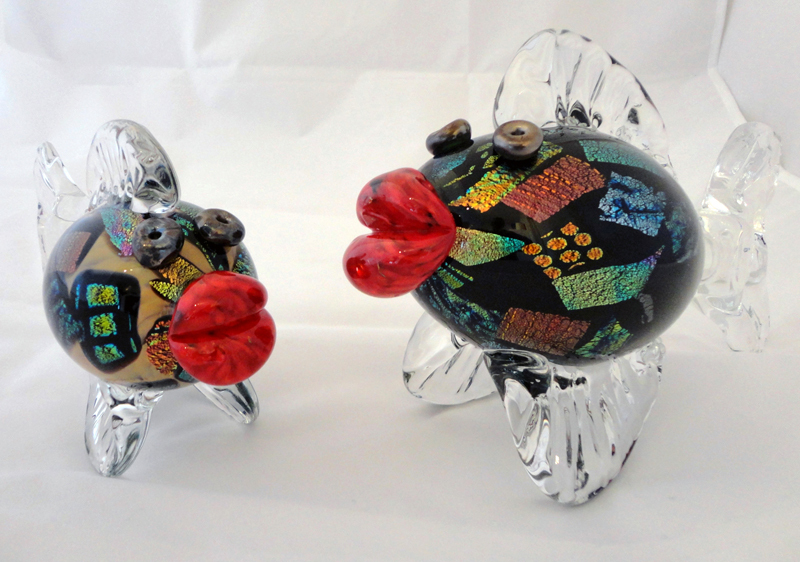 We make our glass kissing fish with solid black eyes and bright red lips. 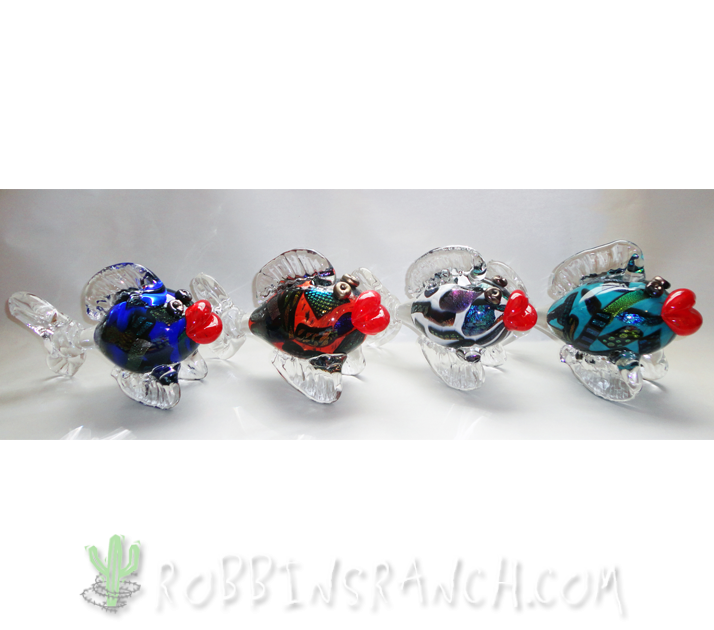 However, we can use other colors if you request these when ordering. 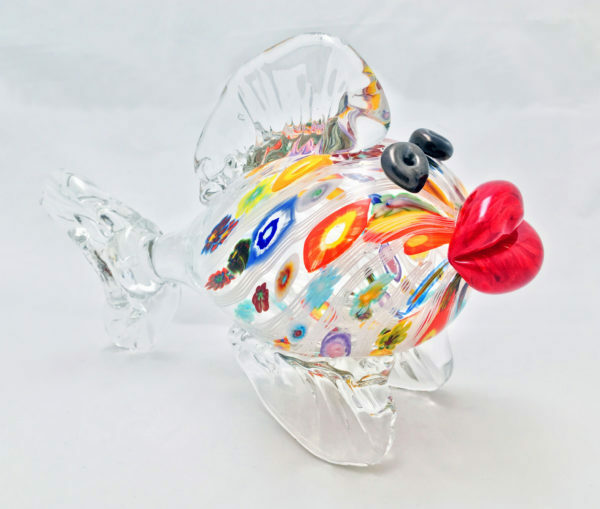 Standard size is approximately 9″l x 6″h x 3.5″w. 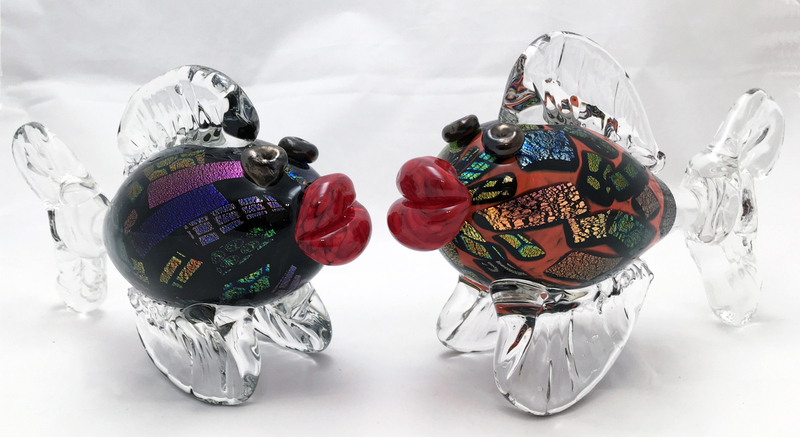 Please note, on request we can also make smaller and larger sizes to create a nice family grouping of kissing fish!